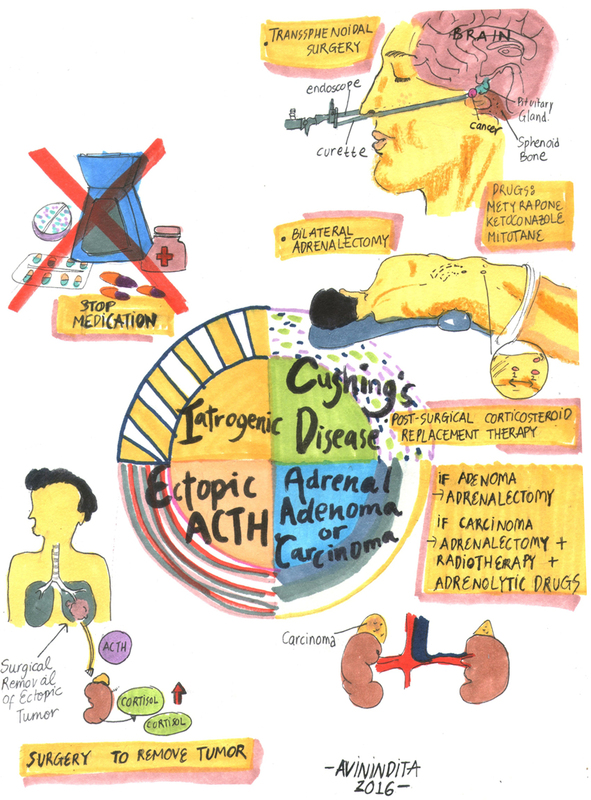 Overview Cushing’s disease is a ACTH dependent syndrome characterised by excess corticosteroid production from the adrenal glands. 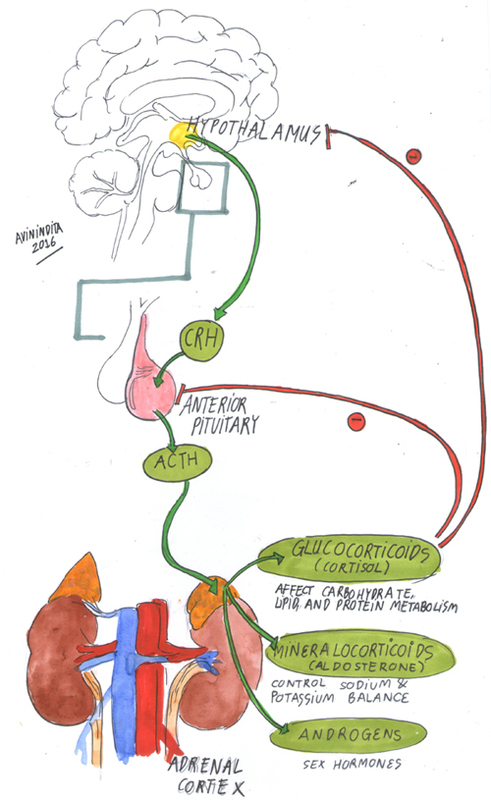 It is ACTH dependent because it is triggered by an ACTH-secreting pituitary tumour. Cushing’s syndrome is an over arching term to describe hypercortisolaemia dependent of independent of ACTH. Adrenal Cushing’s syndrome is different because it is hypercortisolaemia independent of ACTH. Cushing’s syndrome (CS): is a disease complex that results from chronic hypercortisolemia of any cause. The causes may be classified as ACTH dependent and ACTH independent. ACTH-independent Cushing’s syndrome is due to adrenal tumors (benign and malignant) and is responsible for 10–20% cases of Cushing’s syndrome. 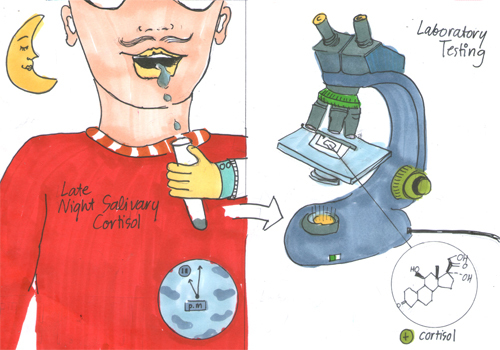 Cortisol salivary test Late night cortisol should be low because plasma cortisol levels increase during the day and lower at night. 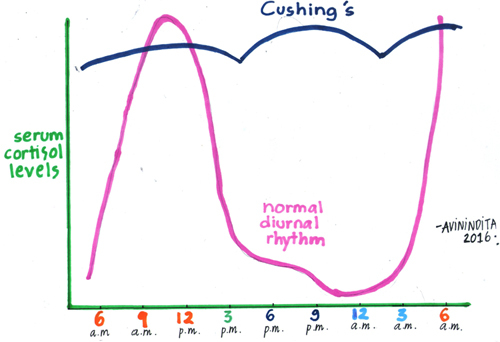 Elevated cortisol at night indicates abnormal cortisol secretion due to Cushing’s syndrome. The majority of endogenous Cushing’s syndrome is due to ACTH-secreting pituitary adenomas (Cushing’s disease). Transsphenoidal surgery (TSS) – First-line therapy in most Cushing’s disease cases. 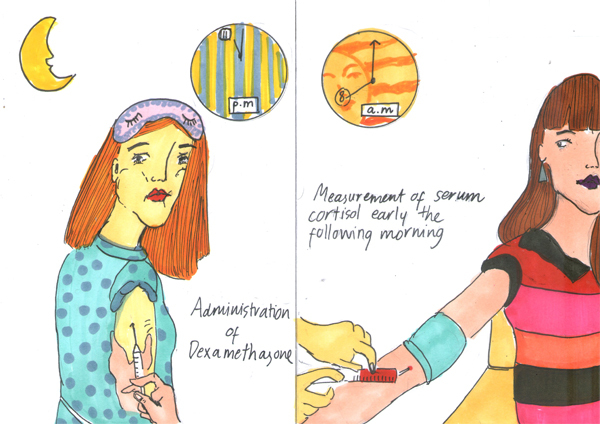 Pharmacology Metyrapone reduces cortisol production by inhibiting the 11-ß-hydroxylation reaction in the adrenal cortex. Side effects: arrhythmias, hypotension, dehydration, anxiety, confusion, weakness, impairment of consciousness, nausea, vomiting, epigastric pain, and diarrhea. 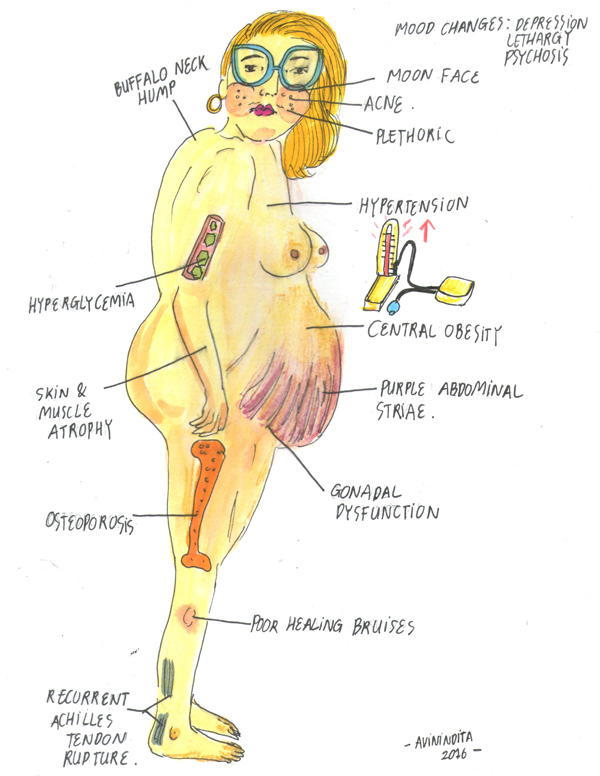 Nelson Syndrome is a spectrum of symptoms and signs arising from an adrenocorticotropin (ACTH)–secreting pituitary macroadenoma after a therapeutic bilateral adrenalectomy. ACTH dependant Cushing’s Syndrome (Cushing’s Disease) – Microadenomas (size <1 cm) have superior outcomes with remission in 65% to 90% of patients. Of these individuals, 5% to 26% have recurrence at 5 years and >10% to 20% have recurrences by 10 years. 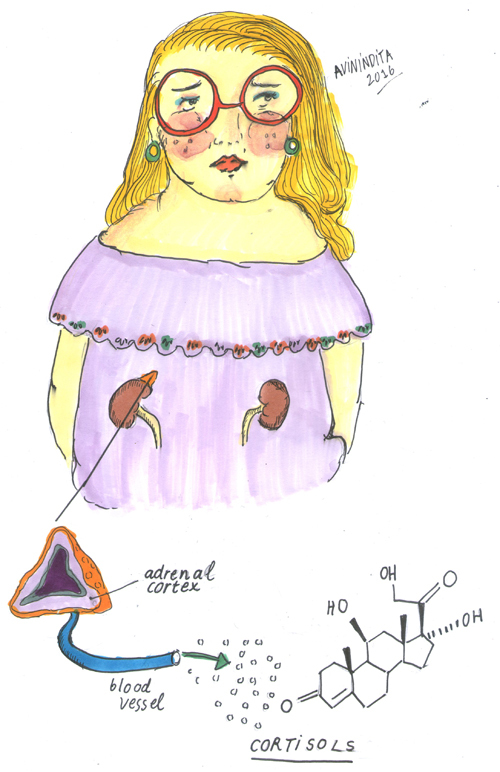 Adrenal insufficiency results from inadequate adrenocortical function and may be due to destruction of the adrenal cortex (Addison’s disease) or to disordered pituitary and hypothalamic function (secondary causes). In term’s of Cushing’s Disease, adrenal insufficiency can occur after surgery to remove the pituitary tumour. Loss of pituitary ACTH secretion means low adrenal hormones produced resulting in adrenal insufficiency. Acute onset may occur due to pituitary apoplexy.